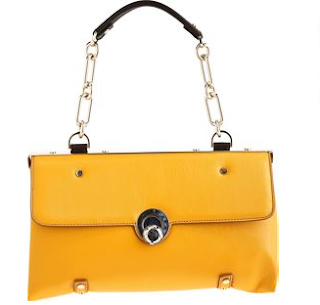 There's no question that yellow is the new green--in other words, this spring's hot color. I used to hate yellow, but all of a sudden it looks very fresh and vibrant too me (or maybe I'm just a lemming). Sadly, it does not look fresh and vibrant on me; yellow makes me look like I have the flu. But the further away from my face, the easier it is for me to wear, which brings us to handbags. 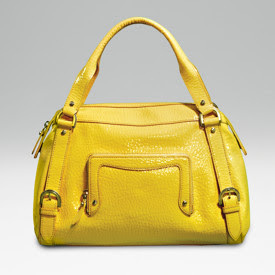 Nothing makes me happier than a brightly colored spring bag, and so here are some of my favorite options. 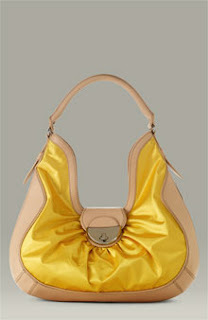 Lanvin's handbags, like the Odette here, are appealing to me, because they don't shout "designer handbag!" but they're obviously incredibly well made, and they're so stylish, they're almost seasonless. Which, if you're dropping $2k on a bag, is something to consider. Treesje is a newer line of bags made in L.A., and I like the attention to detail in their Metro pleated tote--it's a great update on a basic shape, with enough pockets to be super-practical. When did Kooba bags get so expensive? Yikes. 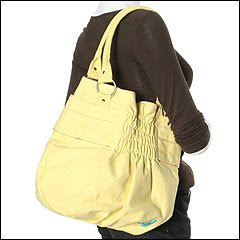 Regardless, I like their Nelli shopper because it has a totally distinct shape, a sunny color, and, yes, lots of pockets. In these days of ever-increasing handbag prices, Cole Haan is really starting to stand out for me, because their products are incredibly well made for the price. 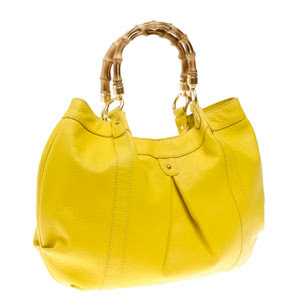 Their Aerin satchel isn't reinventing the wheel, but it's a smart pick nonetheless. 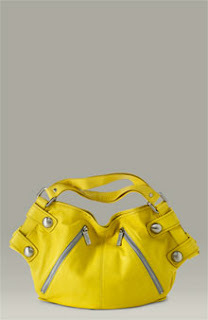 One of the more affordable Botkier bags out there, the Lita mixes satin and leather in a totally groovy hobo shape. Tres chic. It's not exactly my style, but for what it is, I adore J.Crew. One of my favorite things about the company is that they offer some very luxurious items that seamlessly blend in with its rumpled khaki pants and tissue tees. 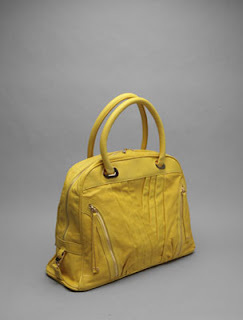 This fabulous Las Palmas bag, with its bamboo handles and Italian leather, looks like something Jackie O would've carried. The bargain version of J.Crew's bag is the Suzy Q Tote from Alloy, perfect if you want a bag that doesn't need to last past August. I like the size of Roxy's Good Time bag, and the fact that instead of being made out of pleather, it's simple cotton canvas. Great for the beach too. While I'm sure he'll do great things for Liz Claiborne, I'm kind of sad that Isaac Mizrahi is leaving Target. Where else would you find a chic bag like this hobo? It reminds me of Marc by Marc Jacobs, at a way more tolerable price. It's chic personified. I love yellow. 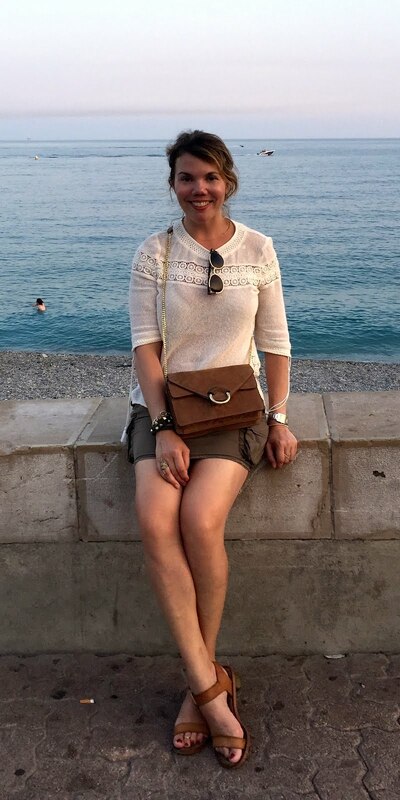 It's a little overwhelming for me in dresses and tops, but yellow shoes and bags are fabulous. 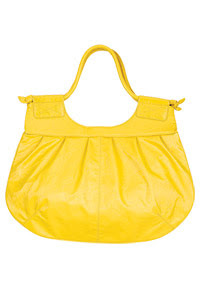 The Las Palmas bag from J.Crew is one of my favorites! Any color besides baby poop? 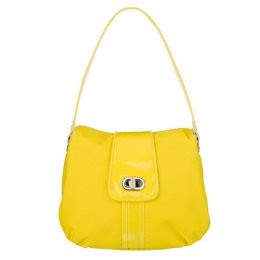 I've got a yellow Furla bag from years ago that, thank god, is just perfect for this year. And I feel the same as you: yellow=sallow!